This detached existence only makes Ayale's arrival on the scene more intoxicating. The unofficial king of Boston's Ethiopian community, Ayale is a born hustler—when he turns his attention to the narrator, she feels seen for the first time. 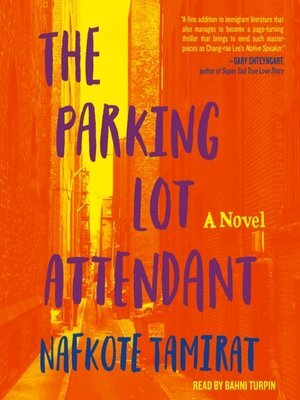 Ostensibly a parking lot attendant, Ayale soon proves to have other projects in the works, which the narrator becomes more and more entangled in to her father's growing dismay. By the time the scope of Ayale's schemes—and their repercussions—become apparent, our narrator has unwittingly become complicit in something much bigger and darker than she ever imagined.